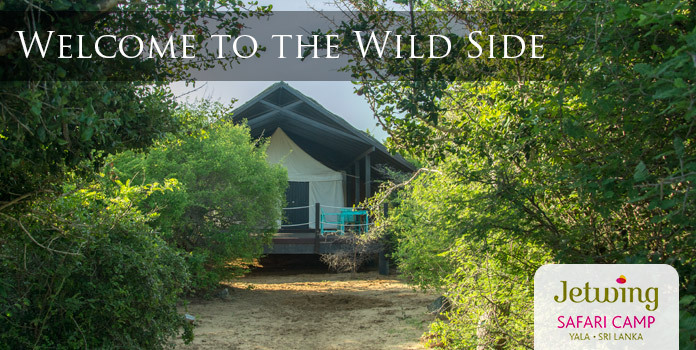 Nestled between the edge of the Indian Ocean and the border of a national park, Jetwing Yala is truly immersed in the beauty of our environment. 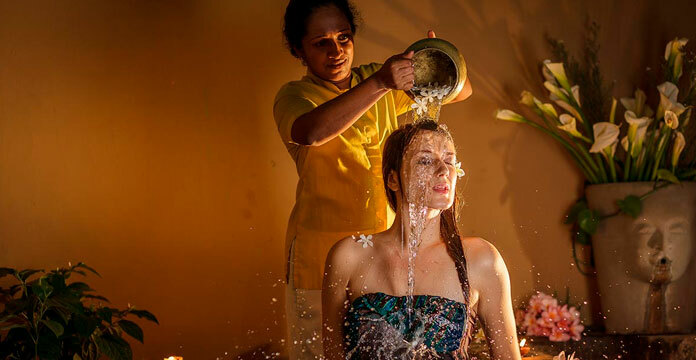 Naturally, a commitment to sustainability remains at the heart of everything we do, and our home of Sri Lankan hospitality sets an example for responsible tourism with a number of initiatives that preserve, protect, and promote the luxurious surroundings that we reside in. Since 2014, Jetwing Yala has hosted a 300 kWp grid-tied photovoltaic system, which is the largest solar installation in a Sri Lankan hotel. With over 1000 panels spread over 1.2 acres, the park yields around 1500 kWh of energy daily – supplying 80% of our hotel’s daytime electricity demand, which amounts to over 35% of our daily electricity requirements. After Jetwing Lagoon, Jetwing Yala is also the second hotel in Sri Lanka to use a Vapor Absorption Chiller. With a capacity of 200TR, the chiller consumes just 14 kW of electric power and caters to the entire air-conditioning requirement of our hotel. The chiller is operated primarily using steam generated sustainably from the biomass boiler. This steam produced is also used for laundry and hot water generation during the nights. Running for 24 hours a day, the boiler can produce up to 1500 kilograms of steam per hour, and uses approximately 4000 kilograms of cinnamon wood per day. In the staff cafeteria, this same wood is also used to fuel biomass stoves for cooking, while the steam generated from the biomass boiler is used to cook rice in a dedicated rice steamer. It is also important to note that all hot water at Jetwing Yala is generated through 100% renewable means. A central hot water generation system which is made up of 90 flat plate collector type solar panels are used to provide hot water between 9 AM and 4 PM, while steam from the biomass boiler produces hot water at night. Finally, it is worth mentioning that all commuting at Jetwing Yala takes place on electric buggy carts – a zero direct emission based mode of transport. Our hotel features a number of sustainable initiatives that focus on water and waste. Firstly, the Reverse Osmosis Plant is used to purify seawater to potable water. Considering Jetwing Yala is located in a remote area of Sri Lanka’s dry zone, there is no availability of pipe-borne water, and fresh water sources are scarce. As a result, seawater is desalinated water and used for all purposes across the hotel. All thanks to our dedicated Reverse Osmosis Plant, which also features an energy recovery unit that helps reduce energy demand by one third. Additionally, Jetwing Yala treats and reuses 100% of its wastewater on site. The dedicated Wastewater Treatment Plant collects black, grey, and laundry water separately in order to improve the efficiency of the system. Both black and grey water treatments are biological (anaerobic and aerobic), and feature gravity filtration. The black water is reused for irrigation, while the grey water is reused as makeup water for our cooling towers. The sludge generated from these processes is also used a nutrient-rich soil enhancer, while the final rinse water of the laundry is also treated and reused as our primary washwater, which reduced freshwater use by 30%. Finally, all organic waste at Jetwing Yala is treated and recycled onsite using a process-enhanced compositing machine. With the ability to compost all food waste and off-cuts, the machine can produce compost in a mere 20 days, as opposed to 40 for a traditional composter. A modified windrow composting unit is also available on-site to allow for differential treatment. Over 6 weeks, the unit treats all garden sweepings and clippings collected within our premises, while the compost is also used in our organic garden. Due to our close proximity to Yala National Park, animals and birds alike are often found within our premises, and are allowed to pass freely in keeping with our commitment to the harmonious coexistence we live in. Turtle conservation in particular, is a sustainable initiative worth highlighting due to the presence of 5 turtle species, which have been recorded laying eggs at our beach. These very eggs are threatened due to poacher activity and wildlife; therefore, in the spirit of preservation, Jetwing Yala identifies various nests upon our shores and takes measures to secure them accordingly. Constant observation is carried out closer to the hatching date, and hatchlings are safely released to the sea thereafter. The entire process is carried out as in situ conservation, with the eggs not being removed from the nest site at any given point in time. Jetwing Yala hosts an onsite glass bottling plant, which is dedicated to our hotel operations – minimising plastic waste and our overall carbon footprint from transporting bottled water. With a maximum bottling capacity of 2000 litres per day, the plant features semi-automated washing systems along with fully automated filling and capping systems. Jetwing Yala also nurtures an organic garden, which is irrigated from a treated water line, and sprouts fresh regional produce that is used in our hotel kitchens. Our commitment to priority local sourcing is further emphasised by our relationships with local farmers, from whom we purchase fresh milk that is processed to make curd onsite. A unique product of the region, the production of curd at Jetwing Yala is beneficial to both our wider community from its purchase, and to you as a fresh product served with your meals.